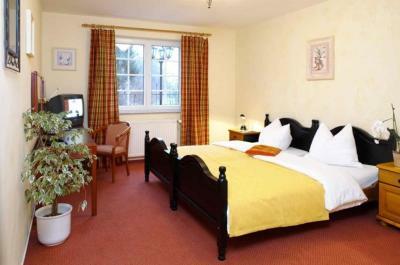 Lock in a great price for Hotel Villa Magnolia – rated 8.8 by recent guests! The room was large, the bright open breakfast room very nice. Lovely renovated old mansion overlooking green fields. Our rooms were spacious and very bright. 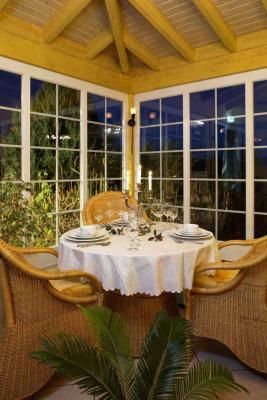 Breakfast is held in a nice sun room, overlooking the fields. Due to warm weather, the patio doors were open. 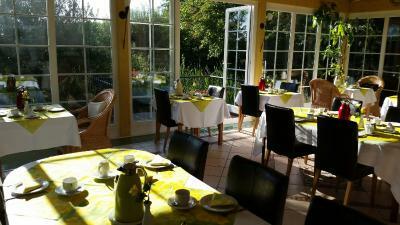 The breakfast was excellent and the staff very attentive, while also unobtrusive. The hospitality has been excellent and also very good the quality of the breakfast and the professionality of the staff. I will return 100%. Everything from the ambience of hotel to the courtesy of hotel staff it was excellent.. Special Thanks to Thomas for his gesture and hospitality..
Villa Magnolia is a great hotel. Well worth the money. It is nice and quiet, clean, wonderful breakfast, bath tub in the room. The staff is friendly and helpful. 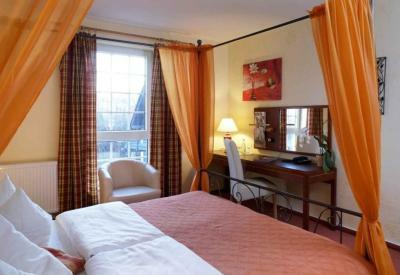 excellent charming hotel close by frankfurt, wiesbaden. We got a really spacious room, and the breakfast was good but with not much choice. Nettes Hotel am Rande von Frankfurt mit einem sehr guten und reichhaltigem Frühstück. Die Lage am Ortsrand ist schon fast ein Garant für eine ruhige Nacht. Hotel Villa Magnolia This rating is a reflection of how the property compares to the industry standard when it comes to price, facilities and services available. It's based on a self-evaluation by the property. Use this rating to help choose your stay! 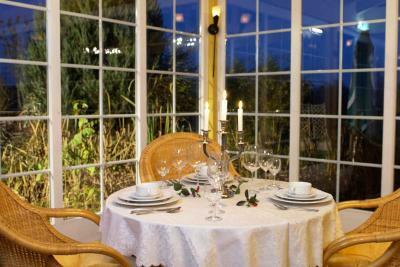 This 3-star hotel is a beautiful villa surrounded by open green countryside in Rödermark. 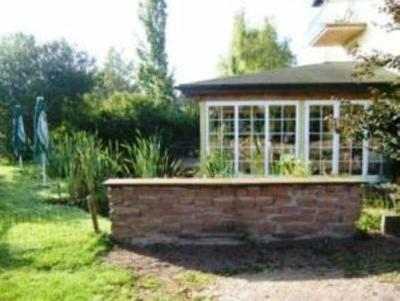 Villa Magnolia is a 25-minute drive from Frankfurt city center and Frankfurt Airport. Rooms at the Hotel Villa Magnolia feature classic-style décor and elegant wooden furniture. Each room includes a satellite TV with 7 SKY channels and a bathtub and hairdryer in the private bathroom. A breakfast buffet is provided each morning in the conservatory restaurant, which offers views of the lush garden. Drinks can be enjoyed at the bar. Guests can make use of an on-site charging station for electric cars. 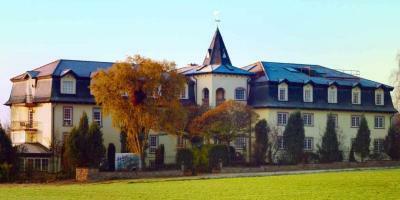 Villa Magnolia is 10 minutes from the A3 motorway, and just 9.3 mi from Darmstadt. 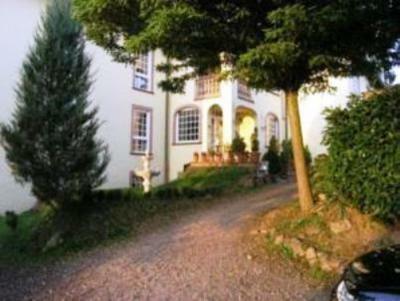 Rödermark-Urberach Train Station is just a 15-minute walk from the hotel. This property is also rated for the best value in Rödermark! Guests are getting more for their money when compared to other properties in this city. 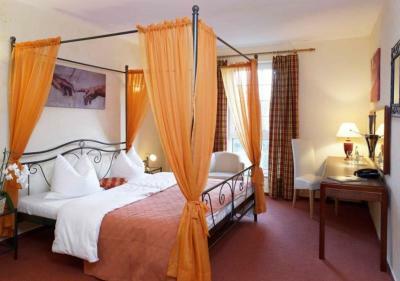 When would you like to stay at Hotel Villa Magnolia? This room features classic-style décor and wooden furniture. It includes satellite TV and a private bathroom with bathtub and hairdryer. This unit consists of 2 rooms that are located next to each other or just across the floor. It features classic-style décor and wooden furniture, and includes satellite TV and a private bathroom with bathtub and hairdryer. House Rules Hotel Villa Magnolia takes special requests – add in the next step! Hotel Villa Magnolia accepts these cards and reserves the right to temporarily hold an amount prior to arrival. The second room has not been dusted in a long time. The good selection of breakfast items would gain from a step up in quality. Breakfast. The beds are very good too. The position is really in the middle of nowhere, but luckily you can reach some restaurants not really far away (la leonessa Is a good one). It's not a place for a full holiday for families with kids. The photo is misleading if you think you will have a big park or a nice place to walk outside.